A large data analysis indicates that the estimated annual incidence rate of pediatric hospitalizations associated with drowning declined by almost half between 1993 and 2008. Source: Adapted from: Bowman S, et al. 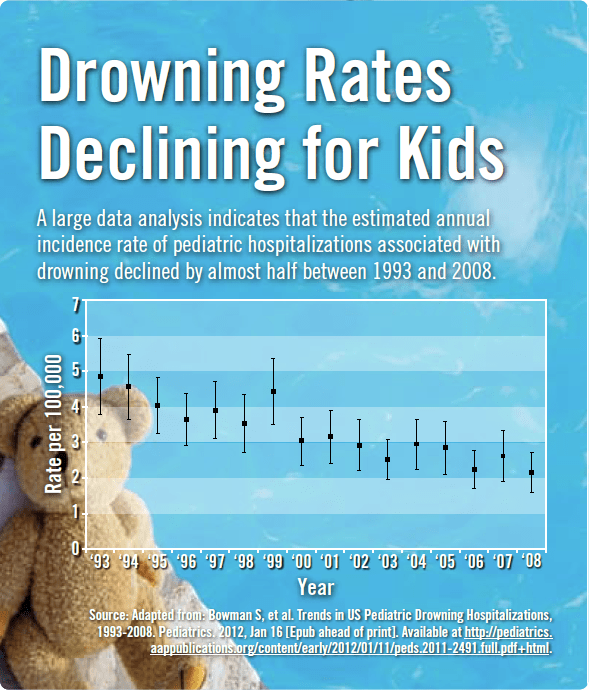 Trends in US Pediatric Drowning Hospitalizations, 1993-2008. Pediatrics. 2012, Jan 16 [Epub ahead of print]. Available at http://pediatrics.aappublications.org/content/early/2012/01/11/peds.2011-2491.full+html. PreviousIncreased Survival vs. Reduced Mortality: Know the Difference?